As Britain's case against Russia's supposed poisoning of the Skripals unravels, the safety of the Skripals is becoming urgent; they are now in more danger than ever. Interviewer: “If it is proven that the British allegations about Russia poisoning the Skripals are not true, should the Prime Minister resign? On March 4th, just after 1 pm, two people were found convulsing on a park bench in Salisbury, England. It turned out to be a former Russian spy, Sergei Skripal and his daughter Yulia, who had arrived the previous day from Moscow. They went to a cemetery on the morning of March 4th, then at some point went on to the Mill Pub, then Zizzi’s Pizzeria, near the bench where they were found. The pair was taken to a local “District” hospital. 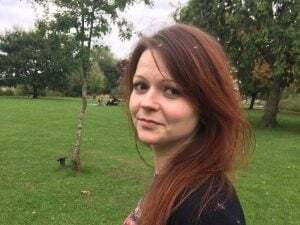 Despite the continued government’s claims that they were expected to die, the Skripals were not taken to the larger teaching hospital in Salisbury that would have been better equipped to save their lives. (6) In fact, it appears that they were meant to die. The Russian government, after being contacted by the Skripal family in Russia, notified the UK government that the Skripals had pets — a fact that should have been evident when police visited the Skripal home on March 8th. The Russians were soon informed that the pets had been euthanized, and their bodies incinerated — reportedly at the Porton Down chemical lab. Britain claimed that the two guinea pigs were found “dehydrated” and dead and a Persian cat “in distress”; it destroyed any evidence the pets might have provided. One cat is reportedly missing. The only time the OPCW uses the term “nerve agent” it is prefaced with the caveat “allegedly.” The description throughout is of a “toxic chemical” being deployed on March 4 against the Skripals. The OPCW does not name the chemical, nor does it identify its origins. On both counts, this fails to substantiate the claims that were at the centre of the British government’s misinformation. “The experts of the Institute discovered traces of toxic chemical called ‘BZ’ and its precursors. It is a Schedule 2 substance under the Chemical Weapons Convention.” “BZ” is a chemical agent, used to temporary [sic] incapacitate people due to its psychotoxic effect which is reached in 30-60 minutes after the agent’s application and lasts up to four days. “According to the information the Russian Federation possesses, this agent was used in the armed forces of the USA, United Kingdom and several others NATO member states. No stocks of such substance ever existed either in the Soviet Union or in the Russian Federation,” the officer pointed out. the Swiss experts also “discovered strong concentration of traces of the nerve agent of A-234 type in its initial states as well as its decomposition products.” “In view of the experts, such concentration of the A-234 agent would result in inevitable fatal outcome of its administration. This Swiss finding implies that the Skripals were not poisoned by the Novichok/A-234, and that the sample it was given appeared to be fraudulent. The report supported the contentions of many observers that the British government’s claims were not to be trusted. 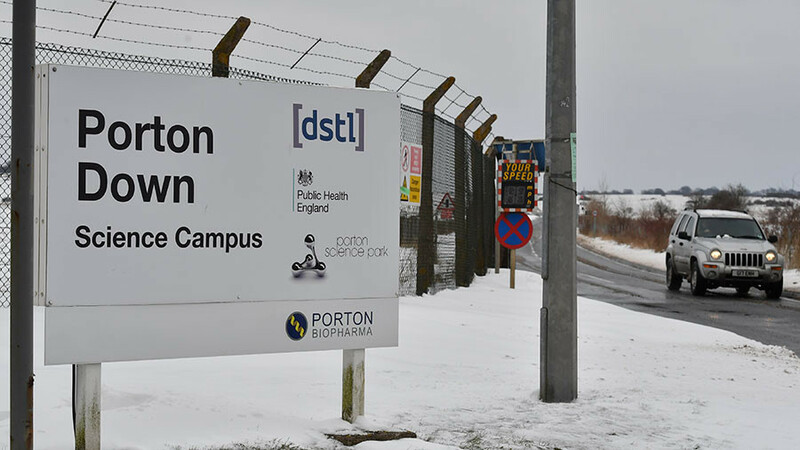 Theresa May and her government cannot survive an uncovering of their Novichok fraud. A UK election in response to the truth will not only bring down the government, it should give Jeremy Corbyn and his Labour Party a healthy majority. Given Corbyn’s anti-establishment positions on many issues — including the Mideast — and his skepticism about this fraud, the British “deep state” will find that possibility unacceptable. A couple of Russian lives do not matter in this scenario. The Skripals are in grave danger. They were supposed to die before the UK was forced to present the evidence that would expose the anti-Russian fraud. With no family in Britain beside Sergei and Yulia Skripal, and the Russian embassy barred from meeting with them, there is no one who can stand up to protect the lives of the Skripals. Really? If the Russian poisoning story were true, the Skripals should be happy to return to their respective homes and make money from their stories. In fact, their faces have been so publicized that they would be recognized anywhere in the world. And why would they choose to erase their past lives? The message behind the “relocation” story is, don’t look for the Skripals again, because you will never find them. The British government must not be allowed to erase them. Jeremy Corbyn must demand that the Skripals meet with a Parliamentary committee and be seen in public; if there is no demand to insure that the Skripals have their freedom, they may well face the same fate as their pets. Karin Brothers is a freelance writer. 6. Unpublished letter to Guardian on April 7, 2018 from Dr. Ken Ranney:Now that the Skripals are improving, it seems reasonable to question what happened after they were found seriously poisoned. Why were they taken to, and kept in, a 455-bed hospital with an incomplete roster of specialists, the Salisbury District Hospital, when a tertiary specialist centre teaching hospital with 1100 beds, the Southampton General Hospital, was 24 miles away?